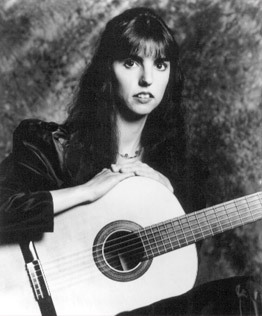 Guitarist and Vocalist Helen Avakian is a versatile musician and can provide a variety of acoustic music to suit your occasion, from the elegance of classical guitar to the excitement of Flamenco, the soothing grace of new age guitar to the many moods of popular and religious songs. Stay with one style or create your own mix. Helen's extensive songlist ranges from the Beatles to Bonnie Raitt, Pink Floyd to Norah Jones and Adele as well as her own original songs and instrumentals. Classical repertoire includes selections from the Renaissance through modern day, from Bach to Mozart to Villa Lobos, as well as traditional Flamenco and Spanish music. Helen is also happy to learn special musical requests. She is available for corporate and private engagements. To book Helen email or call today. She is based in Madison WI and available everywhere. "Can't praise her enough. A real professional, not to be missed!" "Thank you for a wonderful performance at the ceremony and cocktail hour. You were fantastic! We received so many compliments about you throughout the night!" "Thank you so much for contributing your beautiful music to our Kentucky Derby Dinner this past weekend. Everyone had such a wonderful time. You set the mood perfectly!" "Thank you for the beautiful music that you provided for our wedding ceremony. It was just what we wanted, and our guests loved it too!" "Thanks so much for singing and playing at David's 50th birthday party. You were super! P.S .You nailed Pinball Wizard and the Adele songs!" "We just wanted to thank you for your contribution of talent on our wedding day. You play beautifully and we were so happy with the music you played. Thank you for setting the tone for a wonderful evening." "Thanks Helen for your lovely music. It added a great deal to the ambiance of our party." "Thank you for the exquisite music at our wedding ceremony at Bard Hall on June 25. Your music was magical to my ears. Many of our guests commented on your beautiful playing." To give you some ideas of musical options here are a few things I have done in the past. Please email me with your thoughts and ideas! Listen to my original wedding song, Vows, in the player above. I was honored to be invited to play classical guitar music and perform my wedding song, "Vows" for the wedding of Poughkeepsie radio DJ and former Days of Our Lives actress, the ever glamorous and upbeat Kimberly Kay. The ceremony was highly publicized and held in the center of the Poughkeepsie Galleria Mall. The bride made a picturesque entrance down the grand curved staircase. Songs and requests from my songlist for a 50th birthday party. Special requests included songs by Adele and "Pinball Wizard." Mix of popular songs and instrumentals plus special request "Songbird" for a 25th wedding anniversary held at a dinner for the couple at the famous NY City restaurant, Marchi's. This was a surprise from the husband to his wife. "Songbird" had been the song for their first dance at their wedding ceremony. The wife's face lit up with surprise and delight when she heard it. Soon the couple was up and slow dancing. Classical and popular style guitar instrumentals before wedding, JS Bach's Bouree in E Minor for remembering those who could not attend during ceremony. After dinner I performed a concert consisting of original, popular and folk songs. I took requests, people watched, sang along, and danced. I also accompanied the bride in an impromptu rendition of "Blowing In the Wind" when her new husband presented her with a beautifully hand painted guitar as a surprise. A couple approached me when I was playing music in the lobby before a musical at Eisenhower Theater, West Point NY. They were about to get married and were particularly interested in a new age instrumental I wrote called "Sister Song." They asked me to perform at the their wedding ceremony but I was already booked. I sent them a CD of two of my tunes; "Sister Song" for their wedding processional and "Page's Jig" for their recessional. They used the CD during their ceremony then hired me to play a concert of original songs and instrumentals at their first and second anniversary parties in Garrison, NY!